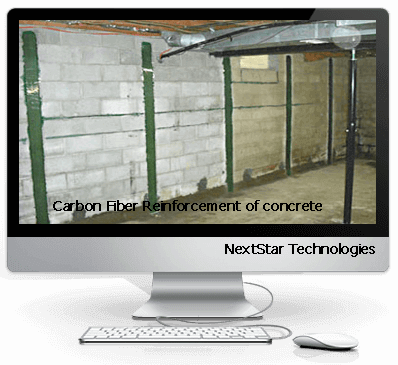 NextStar is your specialists in Carbon Fiber for poured concrete and block walls. Carbon fiber is an excellent choice for bowed or walls that need extra strength. Easy to apply and stronger then steel. 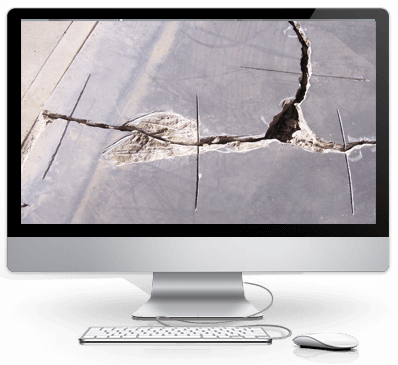 NextStar concrete crack repair products are of the highest quality along with tested and proven products with ICC certification. 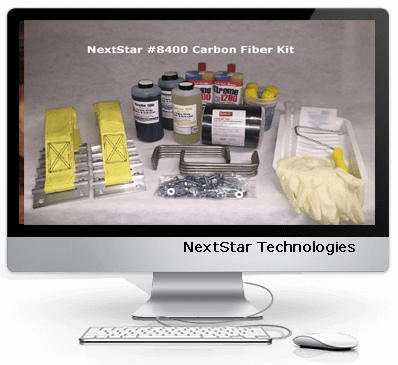 NextStars easy to use carbon fiber fabric reinforcement kits that can also be used on irregular shapes. Fortress carbon fiber staples are a preferred product for angle cracking used on foundation walls and concrete swimming pools. They have been used for many years with proven results. Carbon Fiber Stitching and staples are a cost effective solution to prevent re-cracking of concrete floors and is a preferred solution before any floor coatings are applied. Introducing Carbon Fiber / Kevlar technology in the form of Carbon Fiber / Kevlar Grid straps from Fortress, the next step in permanent foundation stabilization. The hybrid grid strap system is comprised of high tensile strength carbon fibers woven together by Kevlar strands. The carbon fiber reinforced polymer (CFRP) offers a superior strengthening system to steel in many ways. Carbon fiber/kevlar grid straps are designed for stabilizing both poured concrete and block walls. Due to the extreme high strength-to-weight ratio, carbon fiber reinforcement is the repair material of choice for bowed basement walls, bridge columns, and concrete beams to restore and maintain structural integrity. While steel offers a 53,000 psi, Fortress carbon fiber offers an unbelievable tensile strength of 234,700 psi. 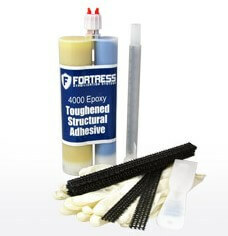 When strength is a critical factor, there is no match to Fortress carbon fiber reinforced polymer solutions. Carbon fiber is now a proven popular alternative to steel for reinforcing structural substrates in residential and commercial applications. Carbon fiber is highly effective at adding tensile strength to concrete. It is superior to steel since it is stronger, stiffer and non-corrosive. Carbon fiber composite Staples and Stitches add strength to Epoxy injected cracks to transfer stress across the repair and extend the life of the repair. Carbon fiber can also be bonded to the surface of a concrete structure at any time to stop bowing and cracking. This allows limitless applications for new construction, repair, retrofit, and seismic upgrades. To prevent a secondary failure originating from the top or bottom shear forces, all Fortress carbon fiber reinforcement solutions come with top and bottom anchors. The top anchor can bear 4,500lbs, and the bottom anchor can be 5,500lbs of shear load, twice the maximum load they’ll ever be subjected to. A carbon fiber installation is less conspicuous and intrusive than, say, I-beam or tie-back steel solutions. 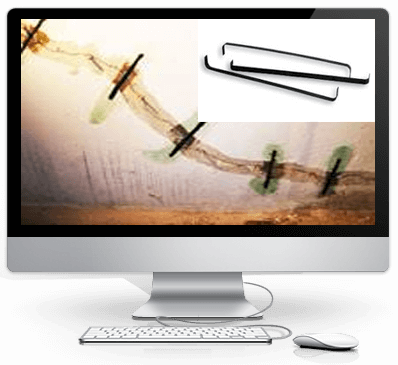 The carbon fiber straps are cost-effective and do not deface your walls. They are an unassuming presence that blends smoothly into the wall on which you install them. Once you paint them over, they are practically invisible and melt into their surroundings. The terrific properties of CFRP make a reinforced concrete wall stronger than the original wall by many magnitudes. Stabilize poured concrete wall or cinder block walls from bowing and re-cracking with 6 strap carbon fiber Kevlar Fortress Grid wall support Straps. ICC Certified . Pro kit 24 carbon fiber staples with Tool and epoxy in an easy to use kit.Add strength to repaired wall cracks with countersunk concrete staples. DIY Carbon Fiber fabric 36ft wall kit with epoxy and instructions to reinforce up to 20 ft of wall. 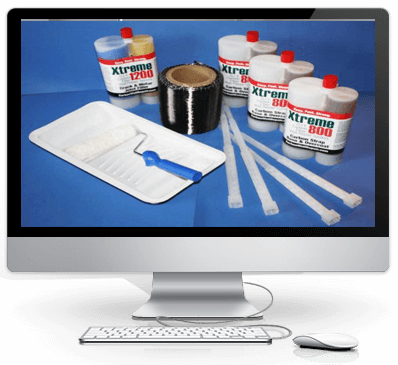 Includes free epoxy applicator. 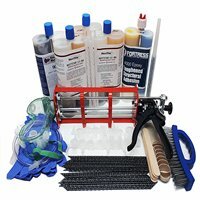 36ft 600 GSM Contractor carbon fiber fabric kit. Use for corners or irregular shaped and bowed concrete walls for reinforcement.Concrete Walls, cinder block,retaining walls ,concrete corners. 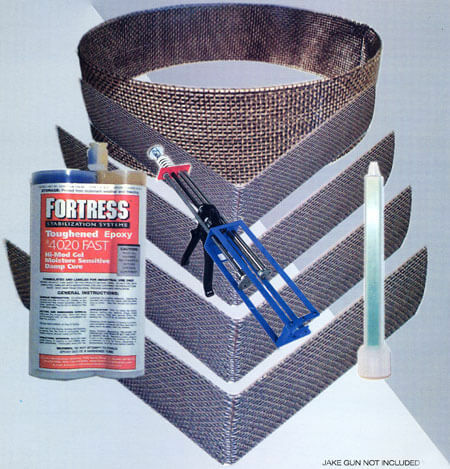 Fortress Grid-Stitch™ is a pre-impregnated, bidirectional carbon fiber grid strap for use as crack stitching and strengthening of concrete and masonry structures. Fortress Grid-Stitch™ straps .Walls , floors ,pools and any crack control need. ICC Code Approved carbon fiber wall reinforcement kit with 75ft of Carbon fiber, 10 top and bottom of wall anchors. Engineered and tested to be the strongest anchoring system top to bottom. Stabilize Corners of poured concrete wall or cinder block walls from expanding outward.